A hidden gem that not many football fans have seen. Who would be a manager? Pressure, stress and the constant fear of losing your job are never more than a few defeats away, but as we all know, football is a drug. Before Klopp took over from Brendan Rodgers at Anfield, the German had already earned a remarkable reputation after putting a temporary halt to Bayern Munich's domestic dominance in the Bundesliga while guiding his Borussia Dortmund side to the Champions League final. Klopp's gegenpressing tactics have become adopted around the world, and as Germany's World Cup win in 2014 will show, the country has become synonymous with footballing innovation. Germany's obsession with the beautiful game is brilliantly portrayed in Aljoscha Pause's documentary Trainer! which follows three young professional coaches (Frank Schmidt, André Schubert and Stephan Schmidt) over the course of an entire playing season. For these men, football is their entire life and it's utterly fascinating to see how devoted, consumed and passionate they are about their work. While watching the film, you really get an insight into the modern coaching methods that football clubs use on the training ground but that's not all. The documentary also examines the psyche of what makes players tick because the fly-on-the-wall approach really captures the dynamic of the dressing room and the politics that can consume a football club. The documentary also takes a look behind the scenes at the DFB football teachers’ training program as we see the dedication that Germany has to the sport that we all love so much. 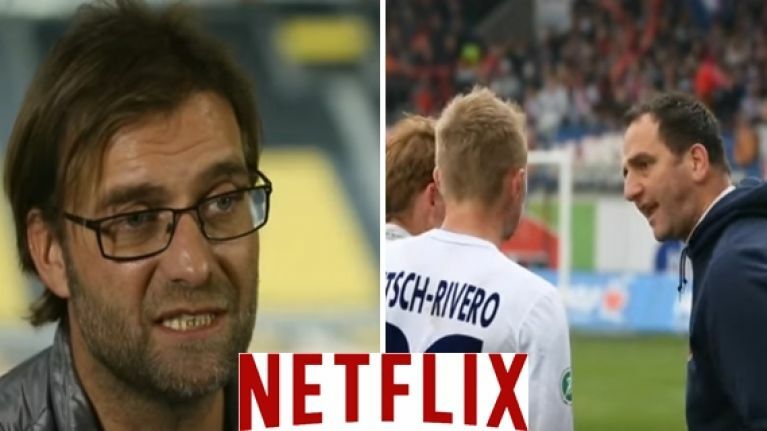 Over the course of the film, we're also treated to interviews from famous coaches like Jürgen Klopp, Hans Meyer, Armin Veh, Mirko Slomka and Thomas Schaaf. If you're looking for something that provides a different view on the beautiful game, this is it. Found a GEM of a footballing film on @Netflix_CA. "Trainer" follows 3 young German managers over the 2012 season. Absorbing. #Außgezeignet. Just finished watching 'Trainer' on Netflix well worth watching! Following 3 young German coaches over a season. Just watched a German documentary about football coaches called Trainer! on Netflix. Terrific, in-depth examination of their work.